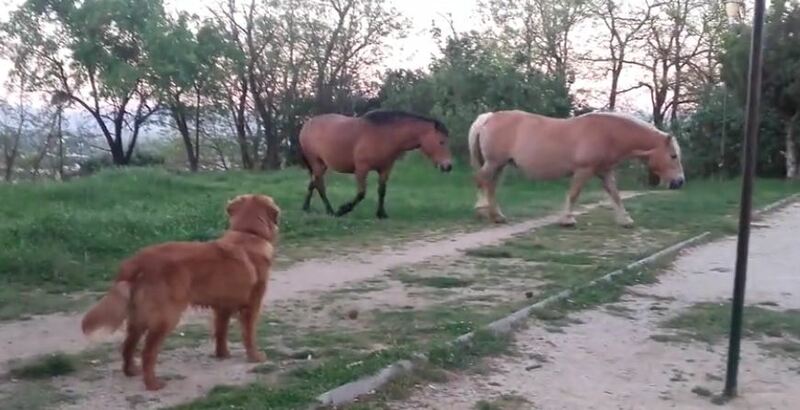 Super Excited Dog Tries to Befriend Horses, But They’re Just Not Having It. Has this ever happened to you? You’re trying to make friends with what you can only assume are the strangest looking (not to mention the BIGGEST!) dogs ever, and no matter what you try, it just doesn’t work? Well, this dog knows how you feel.